My At the Airport column on USA TODAY each December is a round-up of some of the best new amenities airports have introduced through the year. Here are some of the highlights from 2015. 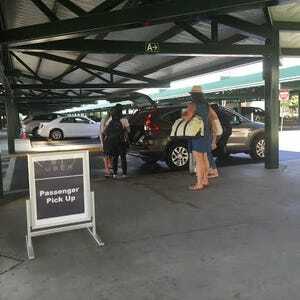 During 2015, a wave of airports around the country, including those in Chicago, Las Vegas, Louisville, Sacramento, San Diego and Washington, D.C. (both DCA and IAD) hammered out deals with ride-hailing services such as Uber/UberX, Lyft, Sidecar and Wingz to legally pick up and drop off passengers at the terminals. Look for that trend to continue in 2016. Following the lead of airports in Denver and Columbus, Ohio, in January 2015 — when all the Super Bowl fans were flocking to town — Phoenix Sky Harbor Airport put out spare change collection boxes to begin raising money for the on-site USO hospitality center. In April, Lehigh Valley International Airport (ABE) in Allentown, Pa., added change collection stations to raise funds for a variety of local charities. During 2015 many airports made space for properly equipped lactation stations for nursing mothers. 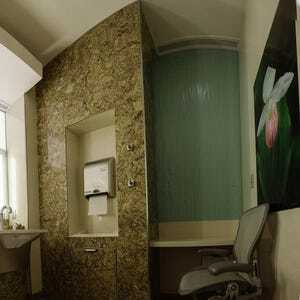 Chicago O’Hare International Airport now has three Mother’s Rooms, while lactation stations and nursing rooms have been added at Minneapolis-St. Paul International Airport, Milwaukee’s General Mitchell International Airport, Jacksonville International, Spokane International, Newark Liberty, JFK, LaGuardia, Pittsburgh International, Boise Airport and others. More airports are adding pet therapy programs to help fliers deal with the stress of traveling. In September, Sacramento International Airport introduced the Boarding Area Relaxation Corps, (B.A.R.C. ), which welcomes pet therapy dogs and their handlers to the airport twice a week, while in October, Denver International Airport introduced the Canine Airport Therapy Squad, referred to as C.A.T.S. Other stress-reducing and health-inducing amenities we noted during 2015 included the beach oasis — complete with Adirondack chairs, umbrellas and artificial turf — set up inside Philadelphia International Airport during snowy February, and the healthy eating campaign at Dallas/Fort Worth International Airport that handed out free fruit for travelers, along with prizes. 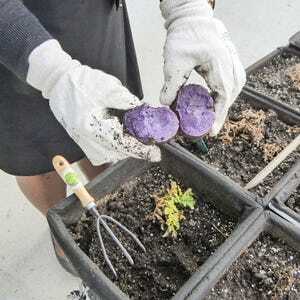 Complimentary treadmill desks were installed this year at Minneapolis-St. Paul International Airport and, at JFK Terminal 5, JetBlue opened a rooftop lounge complete with dog walk, and created a farm out in front of the terminal where a wide variety of herbs and vegetables are now growing. Healthy airport dining options — both sit-down and take-away — are on the rise and, in addition to the many upgraded great restaurants (and bars) rolled out this year, we saw the introduction of several free apps, including Grab and AirGrub, that allow travelers to order ahead, skip the line and streamline the task of purchasing a meal inside the airport to take to the gate or onto the plane. 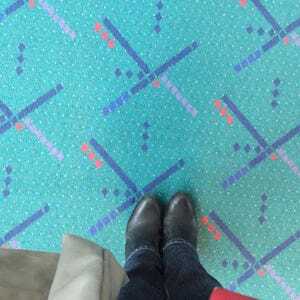 In addition to being named the Grand Marshal of the Starlight Parade for the Portland Rose Festival, during 2015 the quirky carpet being replaced at Portland International Airport continued its reign as a social media darling, leading passengers to take a closer look at airport flooring nationwide. To help with the year-long celebration marking the 20th anniversary of Denver International Airport, the Colorado Lottery created a special edition $2 scratch ticket game featuring four iconic images of the airport and, picking up on the newest old-fashioned craze, this year Dallas Love Field has a giant coloring wall in the terminal. Whenever the picture gets filled in, all they have to do is wipe the surface clean and start over. 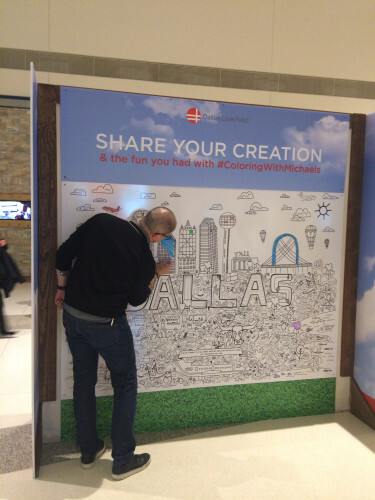 Did you spot a cool new amenity at an airport during 2015 that I didn’t mention? Please share your fave in the comments below.